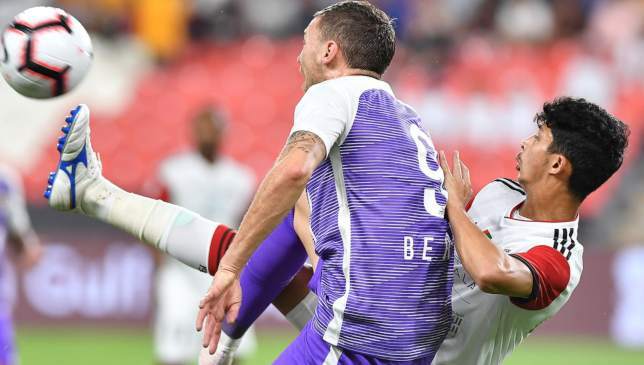 Marcus Berg toiled and tried pretty much everything as Al Ain succumbed to a damaging 5-1 defeat against fierce rivals Al Jazira in the biggest game in UAE football – Al Clasico. It was far from a classic for the Boss, though, who were rattled from a blistering start from the hosts who took a 3-0 lead. 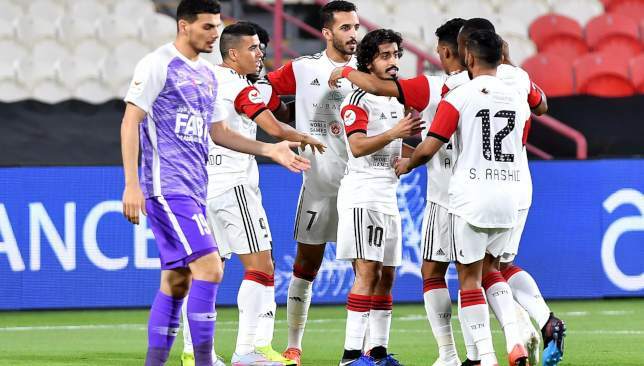 Ismail Ahmed’s bullet header on the stroke of half-time reduced the deficit to 3-1 after Ernest Asante, Ali Mabkhout and Nacer Barazite had put the Pride of Abu Dhabi 3-0 ahead. 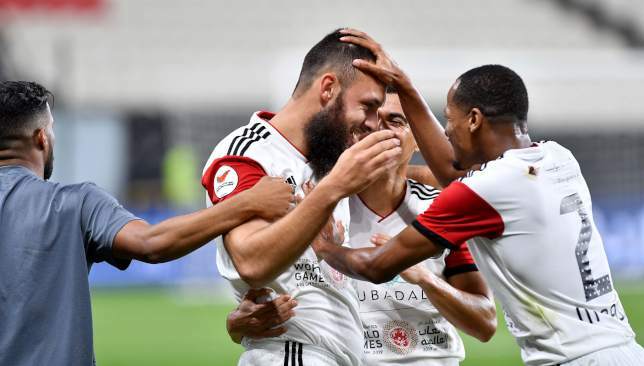 The Boss, hoping to keep hold of second spot in the Arabian Gulf League behind leaders Sharjah as well as clinging to feint hopes of retaining their title, went further behind after Asante scored his second, while Mabkhout completed the scoring at Mohammed bin Zayed Stadium. 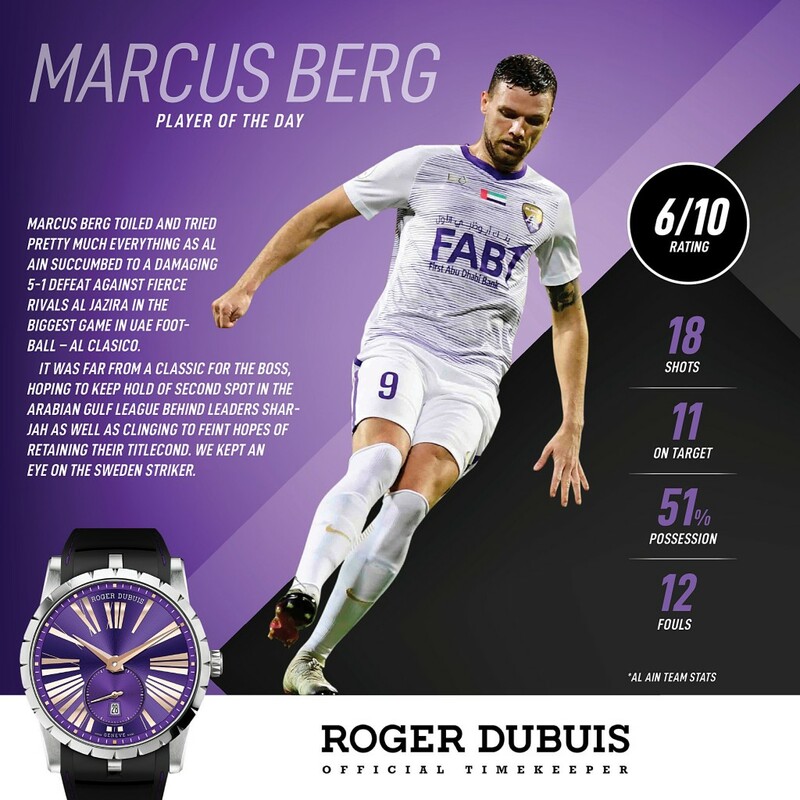 We kept an eye on the performance of Sweden international Berg. On what was a difficult night for the champions, at least Berg emptied everything, including the kitchen sink, from his locker that he could throw at the rampant hosts. He was always the focal point of crosses from the flanks, a good tactic from the visitors in an attempt to fluster a youthful backline that included 21-year-old Mohammed Al Attas and Khalifa Al Hammadi, 20. It was a good ploy and Berg, at times, did hassle the duo with his size and strength, but he was too often isolated and starved of service, looking to conjure something out of nothing. 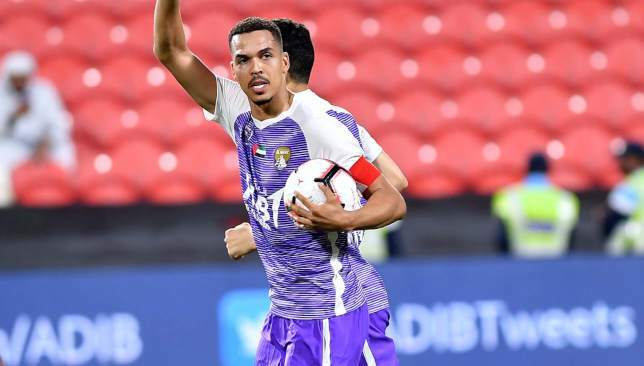 You wouldn’t say many of his chances were clear cut as Al Ain pumped high balls into the box hoping to utilise their frontman’s 6ft frame, but on another night, certainly, the Swedish striker would have hoped to have put at least two chances away. A weak shot, a couple of tame headers and a lack of poise at crucial times littered his evening. That’s not to say his profligacy was the root cause of Al Ain’s woes, far from it. But if he had found the back of the net a few times from his glut of chances, the Boss might well have found their way back into the game.